In 2009 Maine passed its Smart Grid Policy Act. One of its many provisions not implemented was the creation of a Nonwires Alternative Coordinator within the Public Utilities Commission. In 2017 the PUC chose to put this responsibility with the utilites themselves and asked them how they would do it. They have not yet answered. The following is testimony given in support of LD 1181, An Act to Reduce Electricity Costs Through Nonwires Alternatives, which would require the Coordinator be established immediately, but places the function within the Public Advocate’s office. Senator Lawrence, Representative Berry, members of the Joint Committee, my name is Gerry Runte. I am a constituent of Senator Lawrence and live in York. Thank you for the opportunity to testify today in support of LD 1181. Advocacy for innovative rate regulatory structures that acknowledge and value the benefits of demand reduction and distributed generation, aka, Nonwires Alternatives, has occupied a major portion of my 44-year professional career, a career almost equally divided between senior management positions at investor owned electric utilities and at private firms in the alternative energy technology sector. Presently I operate a private consulting firm, Worthington Sawtelle LLC, assisting startups with their go-to-market strategies. I am also a senior consultant with CMG Consulting, a national firm specializing in smart grid and wholesale energy market development. I am here today as a private citizen and my comments do not represent the views of CMG Consulting. Our electricity delivery systems have been rapidly evolving from the electric utility business models of the early 20th century when energy delivery was a one-way path from central generating stations to the end user. New technologies have and will continue to emerge that are transforming this model of energy delivery, one that looks much more like the multiple path connections of computer networks than the one-way pipelines of the past. The best and most reliable and economical solution to serve new demand is no longer limited to the construction of more generation carried over more wire capacity: the optimum solution could include mitigating demand growth through efficiency and demand response programs, serving it with local distributed generation, energy storage, and managing the grid in real time. Consider distributed generation (DG). In addition to making electricity, DG can also be an important component of the electricity delivery system. DG can be used to enhance reliability, resiliency and efficiency, as well as maximize capital utilization. The notion of local distributed generation benefiting distribution infrastructure is not a new concept. Pacific Gas & Electric’s research department identified a number of benefits to the distribution and transmission system in the late 1980’s and ultimately conducted a full-scale test by collocating a 500 kW solar array at their Kerman Substation to measure its benefits to their distribution infrastructure. The Kerman project demonstrated that the solar installation enhanced reliability through voltage support, reduced transformer maintenance by lowering required cooling at peak hours, deferred transmission capacity increases; offset peaking plant dispatch; deferred capital investments in substation upgrades; and enhanced system reliability by reducing capacity margins. While in the utility industry, I was involved with projects that used solar installations to prove similar benefits and large fuel cells to provide services to commercial users looking for significantly higher reliability and resiliency. Yet where are we now, 26 years later? The benefits of Nonwires Alternatives have been quantified in detail in several utility systems and are well understood by the utilities themselves. 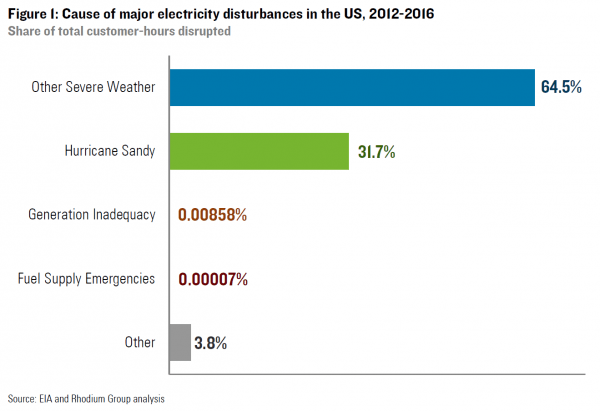 Why, then, is distributed generation, not an integral component of transmission and distribution system planning options, except perhaps in California, Minnesota, District of Columbia, New York, and Massachusetts? The answer is simple. Most electric utilities, including Maine’s two IOUs, operate within a regulatory structure that was designed to compensate monopolies delivering power in that one way, 20th century system I described earlier. This is a system purposely constructed to reward large capital investments in wires and large central generating stations to always be available to support economic growth. This system worked well for many years. Growth was met, electricity was abundant and available when needed to fuel the economy. But this system did not contemplate the rise of local generation or storage that could be discharged back into the system. Or technology with the ability to monitor, in real time, flows throughout the system or manage two-way power distribution. Utility business models are defined by the regulatory rules in which they operate. Investing capital in a new line or reinforcing an old one to meet growing peak demand is the only option in the playbook because that investment is recognized in rate base; buying locally generated electricity mitigate that peak would accomplish the same end, however the cost of buying that service is not recognized in rates and therefore that option has zero benefit to the utility because it is a benefit that it cannot value. 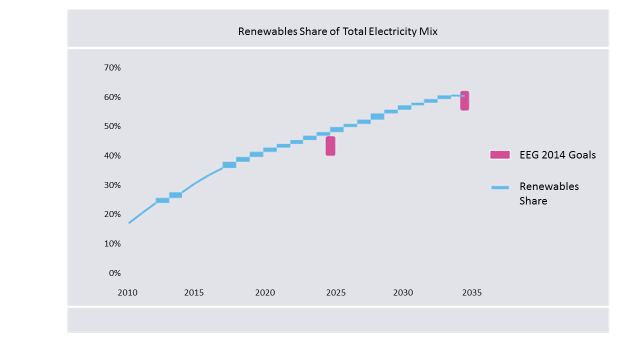 In addition to constraining utility planning to less optimum operation and costs, this regulatory structure has also limited the growth of distributed generation markets. 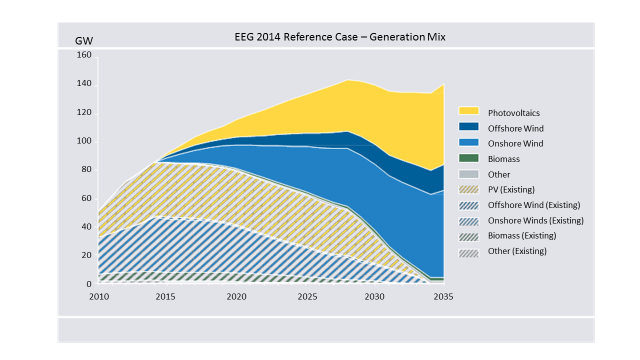 Yes, solar and wind have grown considerably in the last several years, but primarily as surrogates for large central generation using the old paradigm. I can speak from experience that developers and marketers of distributed generation systems see additional markets for their products in those jurisdictions that are undergoing innovative regulatory reform. There are many models that are currently in implementation or design to move utilities into 21st century regulatory structures that solve this problem. Some states have instituted comprehensive rate regulatory reform which completely realign utility business models such that they can benefit from and value these new generation and communication technologies while lowering costs and increasing reliability. They are redesigning electricity delivery systems that are far more analogous to computer network that the old, one-way pipeline. Other states have instituted partial realignments through the creation of Distribution System Operators (NY) or a Distribution Power Authority (DC) who have jurisdiction over wired company plans and manage local market platforms that trade capacity, grid support and ancillary services, as well as demand reduction. In so doing, the utilities have been transformed from strong opponents to advocates of this new utility system paradigm because they have been able to alter their business models to take full advantage. Change the rules and the business model will follow. As you are aware, Maine began to address the design of a 21st century electricity system with its Smart Grid Policy Act in 2009. One element of that Act required the creation of a Nonwires Alternative Coordinator function within the Public Utilities Commission to ensure options using Nonwires Alternatives were given full consideration in system plans as an option, along with traditional wires investments. Unfortunately, the Nonwires Alternative Coordinator requirement was ignored for 8 years and then the function was effectively delegated to the IOU’s for implementation at some later date. Consequently, it appears that by abdicating this responsibility, the PUC is not a suitable governing body for the placement of the Nonwires Alternative Coordinator. Make no mistake, changing the rules is no simple. Matter. However, Maine can make up for lost time and begin the process of reforming how its electricity delivery system is regulated by taking this first step by establishing a Nonwires Alternative Coordinator. The Coordinator could be the source of guidance for the siting of new DG that optimize their enhancement of the distribution network. It could also pilot ways to incent utility leverage DG, with direct benefit to GHG reduction goals. This new office will be a win-win solution for both rate payers and IOU’s as Maine continues to advance its clean energy economy. The Public Advocate’s Office is a logical place from which the Coordinator to operate. I urge your support and passage of LD 1181. The Clintons certainly have a knack for attracting right wing ire over non-events. So it seems is the case with the latest manufactured scandal, Uranium One (U1) and the Clinton Foundation. Amid the calls for investigations from the right, certain elements of the media have grossly mischaracterized aspects of the deal, implying that it poses a threat to national security by selling 20% of all US uranium to Russia. And since the principal party on the Russian side make large contributions to the Clinton Foundation while the deal was going through approvals, national security was sacrificed to the greed of the corrupt Clintons. I’ll leave it to others to opine on whether the Clintons should have seen this coming and perhaps not accepted the donations, particularly since they do, indeed, appear to have been made to grease the skids. The bottom line here will be that nothing was done illegally, however it will nonetheless leave a bad taste in a lot of people’s mouths. But let’s take a look at the reality of this deal and all that the right-wing media seems to be implying. They allowed a US company to be bought by the Russians! U1 was never a US company. It was a Canadian company headquartered in Toronto with some US assets. They’re sending 20% of our uranium to Russia! First, U1 does not hold 20% of US uranium. U1 is the owner of the Willow Creek mine in Wyoming. Theoretically, U1 controls 20% of production capacity, not reserves. In 2014 it only produced 11% of US total production. 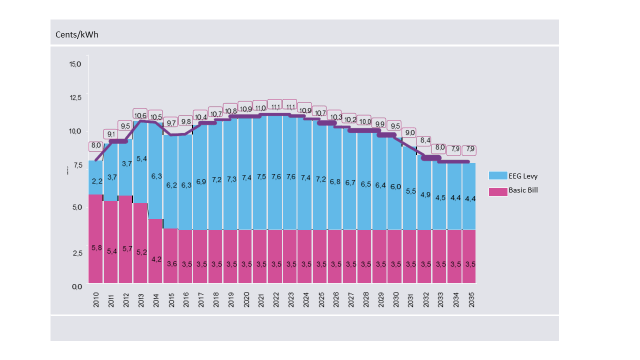 By 2016 the percentage of U1 production fell to 1.1% of total US production because its costs are not economic relative to world market prices. But that’s only a piece of the puzzle. Most people don’t realize that the US nuclear power industry mostly runs on foreign, imported uranium. The chart below shows the annual consumption and percentage of that consumption that is foreign. For the last 20 years US uranium purchases averaged 85% foreign origin. Why? Because US uranium deposits have never been cheap to mine; foreign sources, including Canada, are a lot cheaper. In 2016 about half of foreign uranium bought in the US came from Canada and Kazakhstan. Second, under current law and the license from the US Nuclear Regulatory Commission, U1 is prohibited from exporting this uranium. They would have to apply for an export license which, as you might gather, would be difficult to obtain. Bottom line- it all stays in country. Under any other circumstances this deal would be considered just one of many global transactions that happen to involve the US subsidiary of a foreign country, a transaction that ultimately had zero impact on US security of uranium supply, the industry as a whole and especially national security. Unfortunately, we now have the perfect storm of a) Hillary Clinton and the Clinton Foundation name involvement; b) a low information audience; c) the need on the right for any handy topic to divert attention from more serious matters; and d) “journalists” manufacturing another “outrage” of little substance. It is almost axiomatic within the renewables community that the combustion of biomass is carbon neutral. That is to say that virtually all carbon released by burning will ultimately be offset by the absorption of carbon by new growth, provided the agricultural scheme deployed is renewable and sustainable. This assumption regarding the carbon neutrality of wood combustion is even being pushed in current Congressional legislation. While burning some biomass feedstocks might be carbon neutral, real questions arise when the fuel is wood, especially in the form of wood pellets. A growing body of evidence concludes that the use of wood pellets can be highly detrimental to the environment and, in actual fact, emits as much or more carbon than fossil fuel. Burning wood pellets emits about 1.5 times the carbon per unit of energy than coal and 3 to 4 times the carbon per unit energy of natural gas. And it does so all at once. This creates what’s called a carbon debt that gets repaid be reabsorption over time. That time frame is quite long depending on the proportion of whole trees used to make the pellets. The NRDC study cited above showed the following results. “Premium” wood pellets tend to be solely from whole trees, both soft and hardwood. These “payoff” times are well beyond the critical period when carbon reductions are necessary. So while it is fair to say that wood pellet combustion is theoretically carbon neutral, the question is how long you are willing to wait for the carbon debt generated with combustion is “repaid” through subsequent sequestration. During this critical time frame of the next 15 to 20 years, wood pellets from a high proportion of whole trees emit more carbon than any fossil fuel. In lesser proportions, wood pellets are no better than coal or natural gas. Simply not using whole trees is an option, however other studies have noted that available forest residuals alone cannot meet current biomass demand. There are ancillary effects to classifying biomass as an acceptable fossil alternative. If biomass were not allowed as part of the solution, a greater amount of truly clean sources would be required to meet the Clean Power Plan goals. Using woody biomass for electricity generation suppresses the use of these sources. Given the substantial financial and lobbying resources of the industries involved in this sector it seems unlikely that science will prevail. 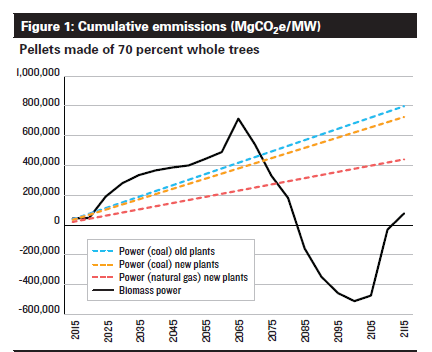 But that’s the story for woody biomass sourced from trees. Biomass from other sources can certainly be renewable, sustainable and be carbon neutral within reasonable time frames. The following article was written to answer the question “In your view, what are the policies that governments should take to encourage public-private partnership and enable the private sector to develop the goods and services necessary for a global transition to a low-carbon economy by 2030?” as a submission to the 2016 Masdar Engage Blogging Contest. NASA space program public–private partnerships are frequently recommended as a model to achieve aggressive carbon mitigation goals. A far more sophisticated approach than used by NASA will be required, involving a much broader array of participants including government; research and development organizations; energy and energy efficiency businesses; and the global insurance industry. These groups must be coordinated and managed using a dynamic strategic planning process. Risk based strategic planning (RBSP) begins with a defined set of end states – in this case the specific milestones for emission reductions – and the construction of several technology development scenarios to achieve them. An inventory of current technologies that could address these goals which are available or in development is taken and the risks associated with each are assessed, including the likelihood of commercialization, energy and market economics, access to financial resources, potential regulatory barriers and environmental impact. Using risk thresholds, the portfolio is culled to optimize achievement of scenario goals. The process is continuous with assessments conducted on a regular basis to pare and shape the portfolio. Such an approach would allow for a systematic optimization of carbon mitigation through technology development. R&D organizations and the private sector involved with energy generation and energy efficiency will contribute to the process by providing input to its development and management as well as implementing the technology development defined in the RBSP process. Their traditional roles will continue, albeit managed somewhat differently. The roles of government and the insurance industry, however, are unique to this plan. In addition to the traditional policy direction, government needs to be directly involved in the creation and management of the RBSP process. This cannot be done using the traditional “ivory tower” approach. Government must articulate directional policies and provide the foundation for the creation and management of the RBSP in close cooperation with all of the stakeholders. Given its risk based approach and the assessment techniques necessary, the insurance industry’s involvement will be key. In addition, government can provide financial resources to and incentives to mitigate the financial risks associated with each technology’s development and commercialization. Government has another important role as it relates to loosening exclusionary intellectual property as well as anti-trust regulation. IP protection, at least as it is currently being conducted, is a barrier to rapid and collaborative technology development. One need only consider the beneficial impact of limiting IP exclusivity on the U.S. aviation industry between the world wars or the integrated circuit industry in the 50’s and 60’s. All parties need to be willing to share IP and have the ability to collaborate in ways that would be illegal under current anti-trust regulation. The Insurance industry routinely influences public and private decisions in many areas of our economy, some less apparent than others. Global reinsurance companies are well aware of the long term liabilities inherent in increasingly extreme weather and the rise in global temperatures. Quietly this industry has been modifying policies for insureds that reward efforts to reduce carbon and increase energy efficiency for the past 20 years. Global insurance would play a vital role by applying its core competencies of sophisticated risk assessment and mitigation to the RBSP process as well as aligning its own products with the goals of the process. Fundamental changes in the roles of government and industry, as well as inviting the global insurance industry to play a very significant role, will be necessary to achieve the COP21 goal of limiting the rise in global temperature to 2 degrees C by 2030. 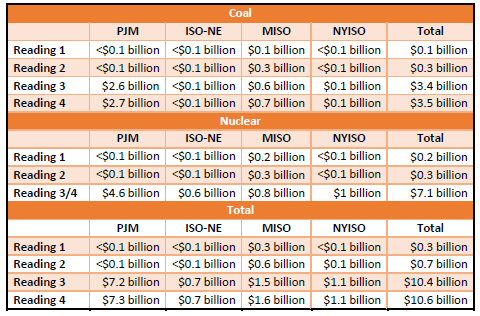 It’s very easy to find graphics that compare the cost of several forms of emerging energy technologies. In the case of fuel cells, since they make electricity to perform a task, the metric used is the cost of a unit of electricity: (pick your currency) per kilowatt-hour or cents/kWh. In vehicular applications, an attempt is made to equate hydrogen fuel with gasoline, generating the absurdly fictitious “gallon of gasoline (or liter of petrol) equivalent” or GGE. If you see these metrics used, you are witnessing one of the greatest failures of the fuel cell industry: its inability to articulate its worth. Allow me to demonstrate how daft and self-defeating these comparisons can be. We all use batteries in our daily lives. Batteries generate electricity, which we put to good use. The going rate for AA batteries is broad, but to pick a number, a 4 pack of Energizer batteries is $4.01, or about $1/battery. Each battery provides a little less than 3 watt hours of electricity. That means that if you compared AA batteries with other forms of generation, its output would be about $330/kWh. Now let’s take that value and do the conventional comparison with other generation forms, shown below. Note that this uses a logarithmic scale. Clearly it looks horribly expensive. But here’s the thing- we don’t value the AA battery for its costs of electricity, we value it for its convenience and size. Relative to other kinds of electricity generation, it costs a fortune, but only because we are using the wrong metric. A friend and mentor reminds me frequently that what is being sold is the product of the product, not the product itself. And so it goes with fuel cells. If one only looked at the total costs of the forklift plus drive unit, the fuel cell unit is more expensive. Add in the cost of charging batteries, the cost of hydrogen and the charging/fueling infrastructure, the fuel cell looks that much worse. Now factor in the productivity costs or gains: the labor cost for refueling a fuel cell is far less than that of a battery unit; the warehouse costs are far less, as is the maintenance costs of the drive units. At this level of analysis, the fuel cell drive is the clear winner, although it represents a discrete set of values. An analysis which looks at the sensitivity of each of these parameters underscores the clear choice of the fuel cell drive unit. There are other increases to productivity for the fuel cell that these analyses do not capture. Over a normal shift, the battery loses capacity such that near the end of a shift it cannot lift the same amount of material to the same heights. Fuel cell units retain their power as long as they have fuel available. In some cases, more electric drives need to be purchased to compensate for long battery recharge times and the diminished capacity of units over shifts. Finally, while the costs of battery maintenance are included above, the environmental cost of battery disposal are not. Fuel cell units do not have that problem. A similar analysis can be performed for remote telecom site backup. In this case, the fuel could either be a liquid (operating a methanol fuel cell), or compressed hydrogen. Diesel generators or battery units require maintenance, with very high labor costs attributed to simply getting to the site and returning. A fuel cell unit, once installed and made ready for operation, eliminates a considerable amount of potential labor costs. In addition, it does its work without emissions and without noise. The GGE metric, when applied to hydrogen fuel cells, is one of the most inappropriate attempts to compare one type of fuel system with another. Clearly it was created on the assumption that it would be easy for the general public to understand. All it does is obfuscate reality. GGE works as a comparison basis when we are talking about fuel use in an internal combustion engine which resides in a vehicle that was designed with an internal combustion engine. Period. The only time GGE would apply to a hydrogen fueled vehicle would be if hydrogen was being combusted in a conventional engine. 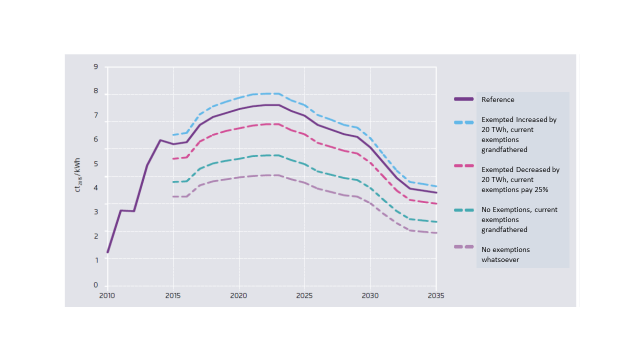 Further, GGE by definition relies on petroleum economics to set price and petroleum market dynamics have nothing to do with the cost of hydrogen. A fuel cell vehicle is designed to accommodate a fuel cell and make best use of its attributes. It is far more efficient than combustion engines and makes best use of the available electricity to incorporate features not found in today’s vehicles. The introduction of fuel cell vehicles offers the opportunity for end users to think about their transportation quite differently from what is on the road today. Instead we persist in talking about these new vehicles in terms that do not fit. Most egregious is the continued use of GGE as a filter to determine where R&D funding should go for hydrogen vehicles and refueling infrastructure. For several years, if someone guessed that a particular project or concept could not beat $3.50 GGE it was rejected. Achieving lowest cost is certainly a goal but using the wrong yardstick is just plain stupid.